The impact has been so rough to cause heavy damages to both cars and set part of the Lamborghini on fire. 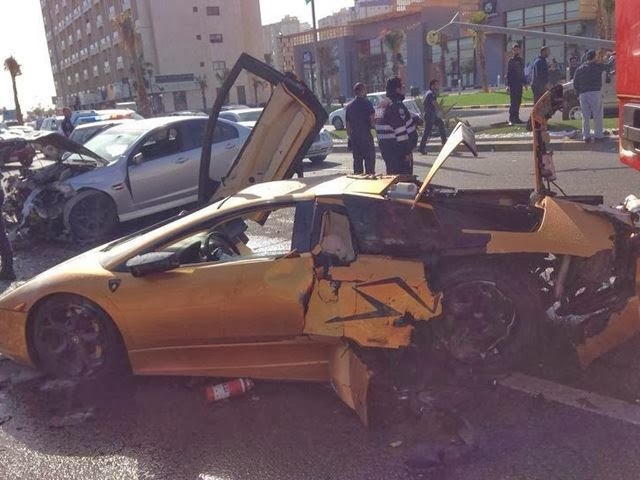 According to the witnesses, the driver of the Murcielago was speeding and didn't paied much attention to the traffic. At the moment, the driver has been hospitalized and lies in serious conditions. All Lamborghini's have Safety Controls and STABILITY Control and Security System. 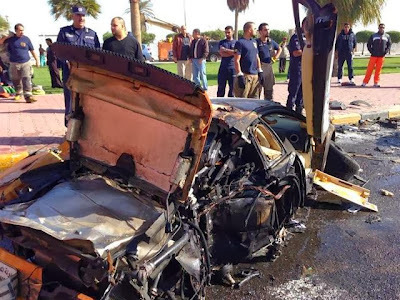 Chevrolet dosen't have Stability control and they are not Luxury Automobili so i have seen many Chevrolet cars crashing into Luxury Cars in my Country Kuwait. 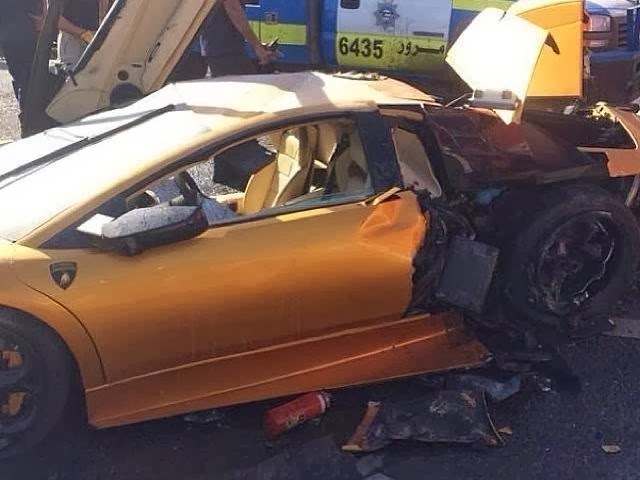 What a bad article... How on earth would the lambo ended up lo like this was he driving in reverse? Yea this one wasn't the best post you've made. Definitely a Diablo, and definitely not a cavalier.